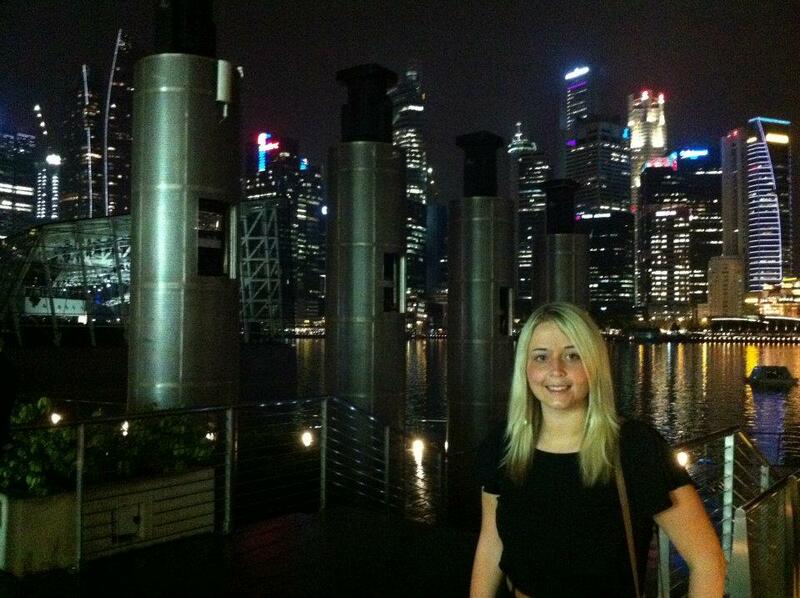 Here is Charlotte’s (@charlmc8386) excellent second post about her trip to Singapore! If you missed the first post about her memories from Singapore as a child then please click the link below to read it before checking out her thoughts on returning to the city as an adult. 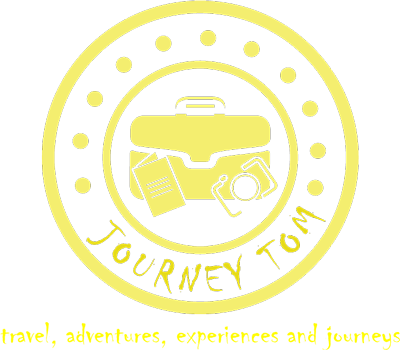 If you’ve already read the first post then read on and enjoy! Well I don’t quite know where to start, I had high hopes for my return to Singapore but nothing quite prepared me for just how much this tiny island has to offer. One of the first things that I noticed was the sheer friendliness and happiness of the locals, whether it be the hotel staff, taxi drivers or the shopkeepers that we met, everyone seemed to have a smile and their very own tips on what we must see while visiting their stunning country. Granted we were staying in the Marina Bay Sands, a smile from the staff at a 5 star hotel is pretty much expected but the hotel had a lot more to offer than good manners alone! On arrival we headed up to our city view room on the 29th floor, after a nearly 24 hour journey the sight of the automatic curtains opening to a view of Singapore’s glittering skyline was a fantastic welcome to the city and I couldn’t wait to get out and explore. Saying that the area had changed since I was last in Singapore is more than an understatement, the entire resort of Marina Bay is built on reclaimed land so the last time I saw it, it was in fact the sea! The whole area is sheer extravagance at its best, the 3 towers of the Marina Bay Sands hotel has become a tourist attraction in its own right and a focal point on the Singapore Skyline, the adjacent shopping mall is full of only the best designer shops and restaurants and you can enjoy your surroundings on a Sampan ride down the waterways of the canals that run through the mall. The food court is a great place to eat if you feel like a less expensive and more authentic Singaporean meal than is on offer at the designer restaurants! And should it take your fancy, an ice rink adjacent to the food court so you can work off a few pounds with a quick skate after lunch! Not as cheap nor as authentic as the hawker stalls found throughout the city but still a more economical option if visiting the Marina Bay Sands area. One thing at the food court to bear in mind is the local’s habit of saving of seats with packets of tissues! Thinking they were the remnants of someone’s lunch me and my other half pushed them aside and sat down at the table only to be faced with a disgruntled Singaporean who had saved the seat! Don’t worry though, we were in the right to sit down, a recent article in the Singaporean press said this table saving was becoming quite a problem – so if you see some tissues on a table in Singapore you have every right to sit down! If the glitter and opulence of the Marina Bay Sands becomes too much, escaping to the more authentic areas such as Little India and China Town can give a glimpse into how the different cultures in Singapore live together happily in such a small country. 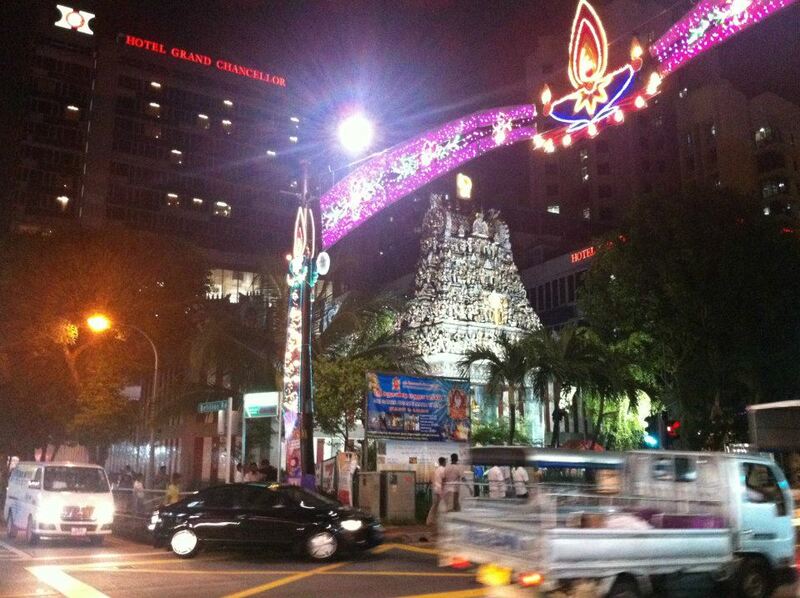 Little India celebrating Deepavali was bustling with activity when we visited, granted I have never visited India myself but I think this was pretty close to how it would feel to visit the real thing! Shops filled with spices, traditional Indian dress and Bollywood films stand adjacent to the impressive Veeramakaliamman Temple and the food here is not to be missed! If you are looking for backpacking accommodation in Singapore there are many great hostels, we visited the Prince of Wales pub and backpackers hostel on Dunlop Road in Little India, where we enjoyed great live music, cheap drinks and a fantastic atmosphere, if I were to return on a budget this would be a great place to stay. China Town is also a must see, the shops here are fantastic for souvenirs for people back home and you can grab yourself a bargain, there are great jewellers and tailors here so if you are in the market for some jewellery or a new suit don’t forget the credit card! As mentioned in my previous post visiting Raffles hotel was an important part of the trip for me, still as grand as ever, the colonial style hotel exudes old world glamour. You can imagine the rich of the early 1900’s sat in its Long Bar enjoying a Singapore Sling or in the Tiffin Room, indulging in high tea, so I did just that! The Singapore Slings are highly recommended and accompanied with the tradition of throwing your peanut shells on the Long Bars floor is a must on the list of Singaporean experiences. As a child we would often visit Sentosa Island just off the coast of the mainland, at the time this always seemed far away like we were going to some distant holiday destination but as an adult I was shocked to see it was actually only 15 minutes down the causeway! Developed on a huge scale, the island is now home to a Hard Rock Cafe hotel and resort and its very own Universal Studios. Much of the island feels quite commercial and Americanised but if you head to the opposite side to the big resorts you can enjoy the views from the Marina where on a clear day you can see over to Indonesia, so close in fact that my phone sent me a ‘Welcome to Indonesia’ text message whilst on that side of the island! Visiting Singapore as an adult was a fantastic experience, bigger and better than when I lived there, the city continues to evolve and develop into a city like no other. If you haven’t visited Singapore before I would highly recommend that you do, we are already planning our next visit and I certainly won’t be leaving it another 15 years to return this time! Charlotte has enjoyed travelling since a young age, not only living in Singapore as a child her families travels also took her to many other exotic destinations including Sarawak, Borneo and Perth, Western Australia. As an adult recent favourite destinations have mostly focused around city breaks, New York and Paris being the most memorable but she also loves a week by the pool in Spain soaking up the sun for a summer break. 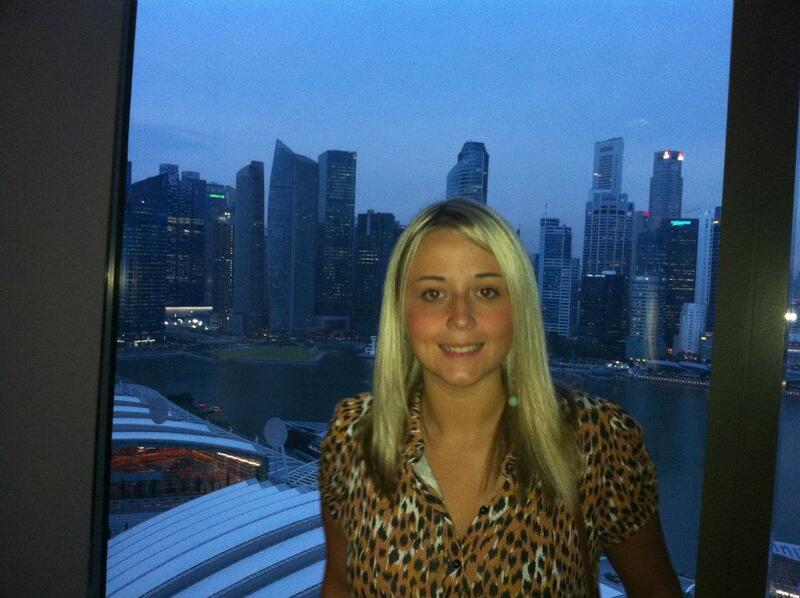 Charlotte works for moneysupermarket.com where you can get great travel insurance deals should you want to visit Singapore yourself and see if this great city lives up to your expectations too! 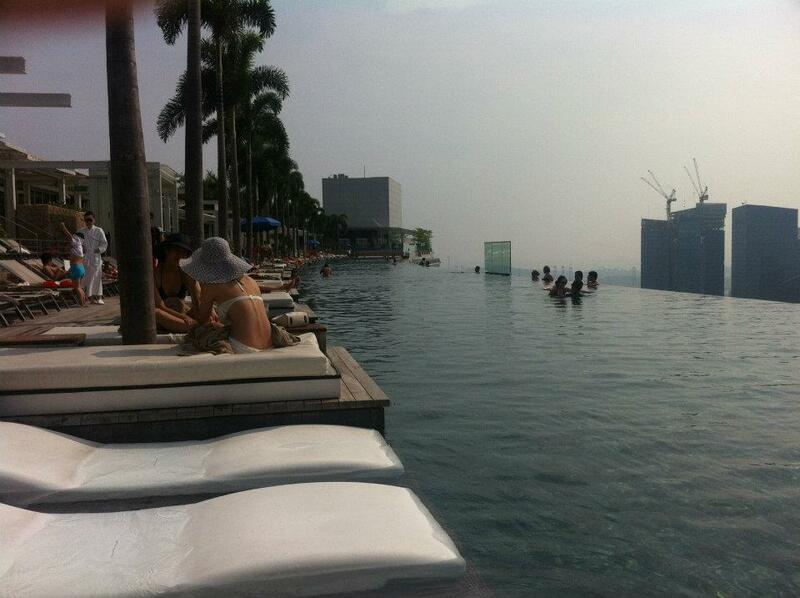 I used to live in Singapore as a lad and I’v got to say the place has gone downhill from where it was 10 years ago. Things were cheaper and the food nicer now all the touristy places are just a rip off, much prefer Malaysia these days! !